Every few months or so I run a one day introduction to UX training course. During the course, I cover the basics of user-centred design including key tools, such as user interviews, personas, user journey mapping, storyboarding, prototyping and usability testing. Participants go away with a better understanding of UX and some tools that they can use straightway to start creating better user experiences. In just one day you only cover the very tip of the UX iceberg, an iceberg that grows larger and larger every day and one question that I get asked over and over again is where can I go to find out about more UX tools and methods? Of course that are some great UX books out there (check out my 10 UX books that should be on your reading list and Recommended UX books for aspiring UXers for some good ones) but there are also now an increasing number of online UX toolkits and method guides detailing the what, why, when and how of lots and lots of UX tools and methods. I’ve listed 10 of the best below, along with links to even more to checkout. The IDEO Design Kit is a great resource from IDEO, one of the best know and respected design consultancies out there, and long-time proponents of ‘design thinking’. Within the kit you can find ‘Mindsets’, which help outline key design principles to follow, along with guides to design methods and case studies showing how ‘human-centred design’ (IDEO talk about human-centred design, rather than user-centred design) has driven real results. 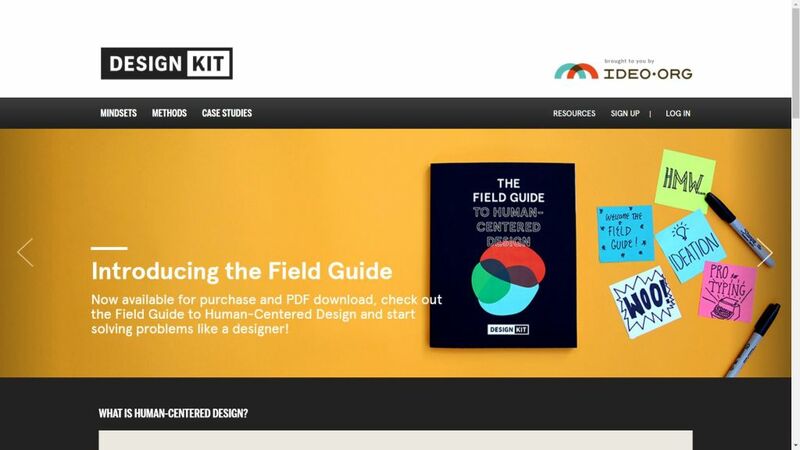 Along with the kit you can also download a field guide to human-centred design with lots of great advice for solving problems like a designer. 18F is a digital services agency based within the US Government. They’re a bit like GDS (Government Digital Service) in the UK. Both work to deliver better digital services to the public and like their UK counterparts, 18F make a lot of their tools and methods available for anyone to use. 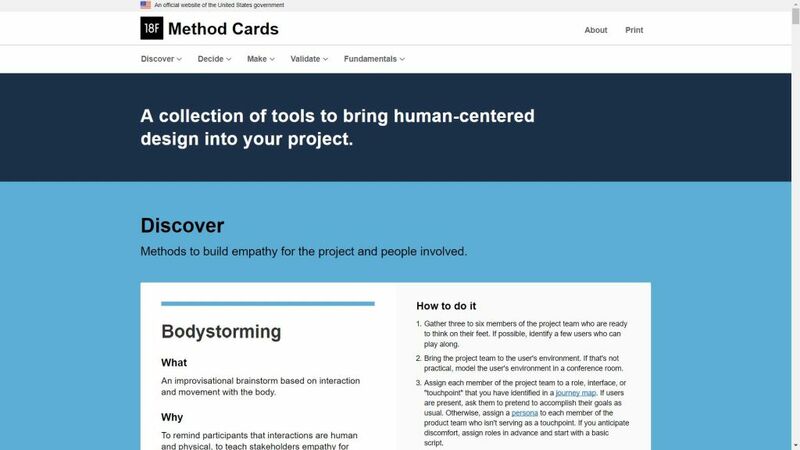 The 18F Method Cards outline lots of user-centred design tools to utilise within projects. Methods can be browsed by project step (‘Discover’, ‘Decide’, ‘Make’ and ‘Validate’) and for each method the what, why and how are outlined, along with links to additional resources. MediaLAB Amsterdam is a creative, interdisciplinary Amsterdam based studio where students and researchers work together on innovative and interactive media research projects for Creative Industries. They’ve put together a design method toolkit, with a particular focus on agile, team-based projects. Over 50 different design methods are listed and you can handily filter methods by stage (e.g. research, ideation & concepts, define) and by duration. High level information is provided for each design method, including when and why to use it, steps for utilising, along with next steps to follow. The Open Innovation Toolkit is from Mozilla, the nice people behind the Firefox web browser. In their own words the toolkit is, “a community sourced set of practices and principles for incorporating human-centered design into your product development process. It is a collection of easy-to-use, self-serve techniques and methods that are gathered from industry best practices of innovation.”. You can browse methods by goal (e.g. gather insights, ideate, test), difficulty, duration and by desired outcomes (e.g. validate, discover, prioritise). Lots of information is provided for each method, including the objective, desired outcome, detailed steps for implementing and further resources to check out. 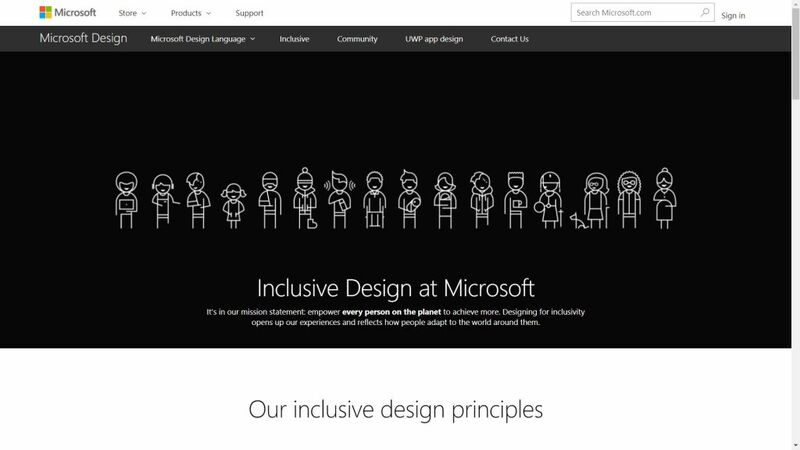 Microsoft might be a bit hit and miss when it comes to good UX design (SharePoint being a particular low point), but it’s great to see that they’ve made their Inclusive design toolkit available for everyone to use. The toolkit obviously has a focus on Inclusive design, but as they rightly point out, designing for people with disabilities actually results in designs that benefit people universally. Included in the toolkit are inclusive design principles to follow (like learning from diversity), activity cards outlining tools and case studies, and videos showing inclusive design in action. 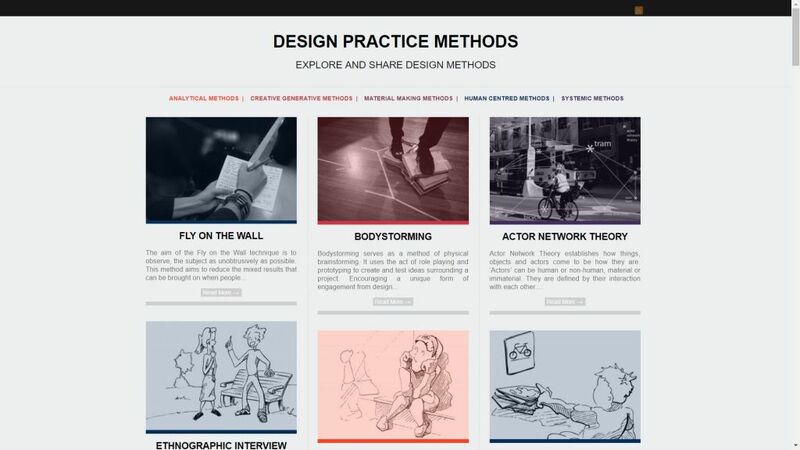 The design practice methods website is from the RMIT University, a global University of technology, design and enterprise, with campuses in Australia, Vietnam and Spain. UX methods are included (referred to as ‘Human centred methods’), along with broader design methods, such as mood boards and material testing. Methods can be browsed by type (e.g. Analytical, Creative) and with a short description and examples provided for each method. 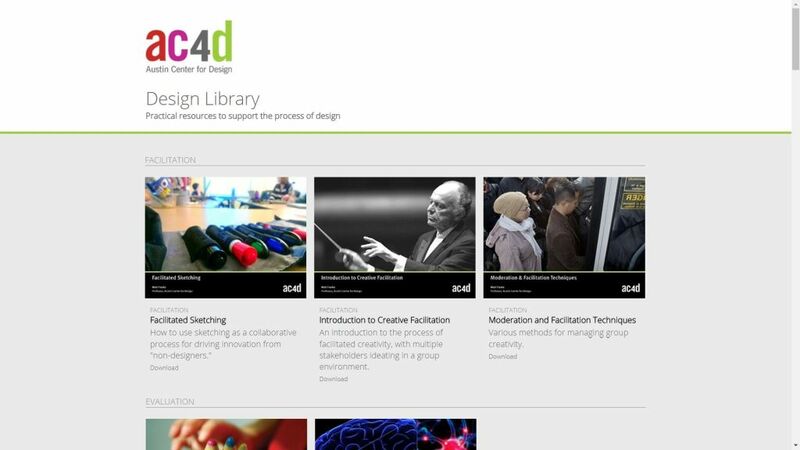 The Austin Centre for Design provide interaction design and social entrepreneurship educational courses in Austin, USA and was founded by the well-known designer and author Jon Kolko, who is still the director. The centre provides a design library detailing lots of useful design principles and methods, such as prototyping and iteration, along with worksheets and templates for methods such as customer journey maps, and storyboards and scenarios. Hyper Island is a global business school offering design, digital and innovation focused programs and courses. They’ve put together a toolbox for, “anyone who wants to do things more creatively and collaboratively in their team or organization”. 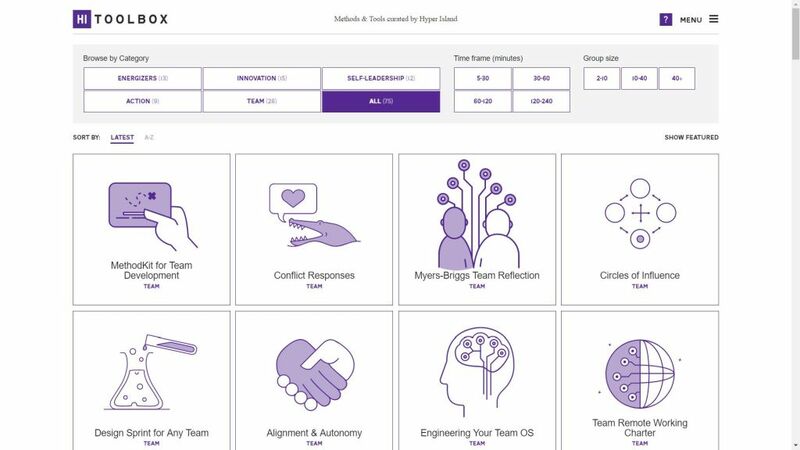 There are lots of interesting tools to try out, including tools for energising groups, for improving team work and for coming up with innovative ideas. Strictly speaking these are more collaboration focused than design focused tools, but as we all know that UX design is a team based sport they’re still incredibly useful. Give The Viking game a try, it’s proper bonkers! 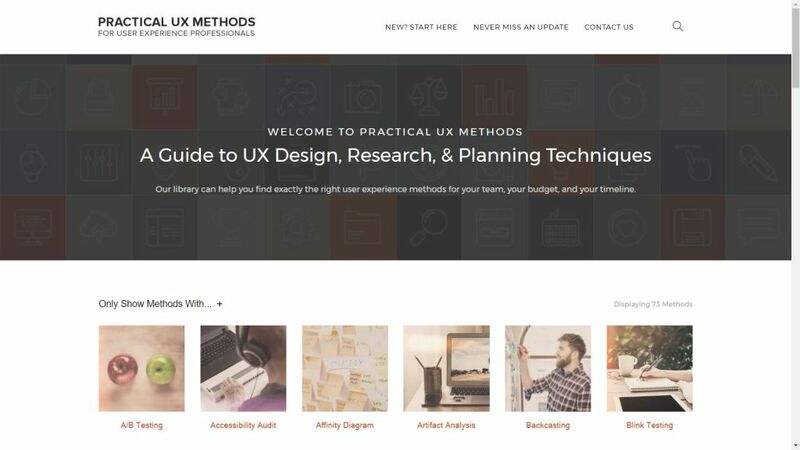 Practical UX methods is a fantastic free resource from digital agency Tonic3. In their own words they, “wanted to make it quick & easy for design teams to apply usability research methods and user experience design techniques to all their projects”. The website currently lists a whopping 73 UX methods and allows them to be filtered by area of focus, such as Ideation, User Testing and Understanding User Goals. Each method is described in detail, with step by step instructions provided, details of time and materials required and links to related resources and methods. 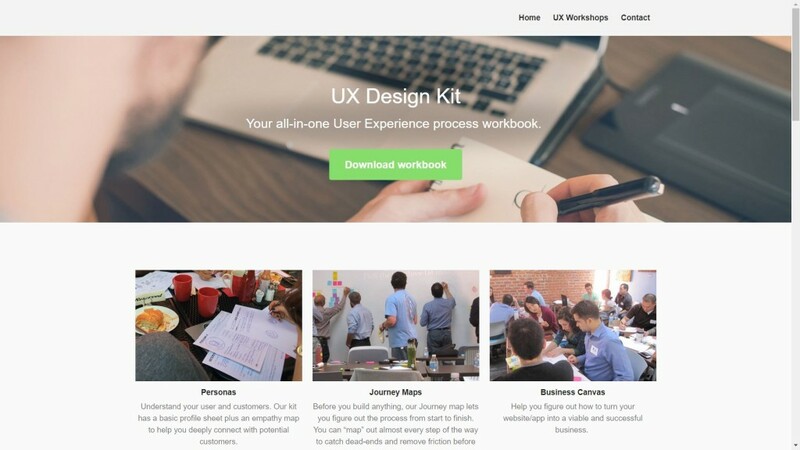 UX Design Kit describes itself as, “Your all-in-one User Experience process workbook”. 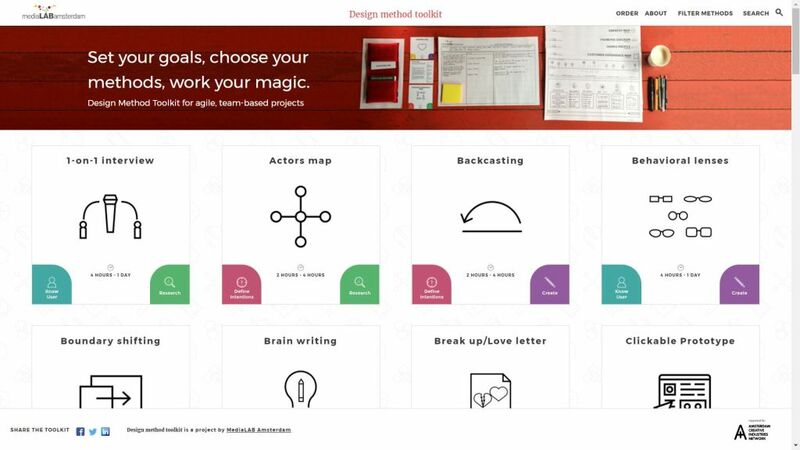 The kit is available in the form of a good old fashioned PDF, with templates and worksheets available for key UX methods, such as Personas, Empathy Maps and User Journeys. 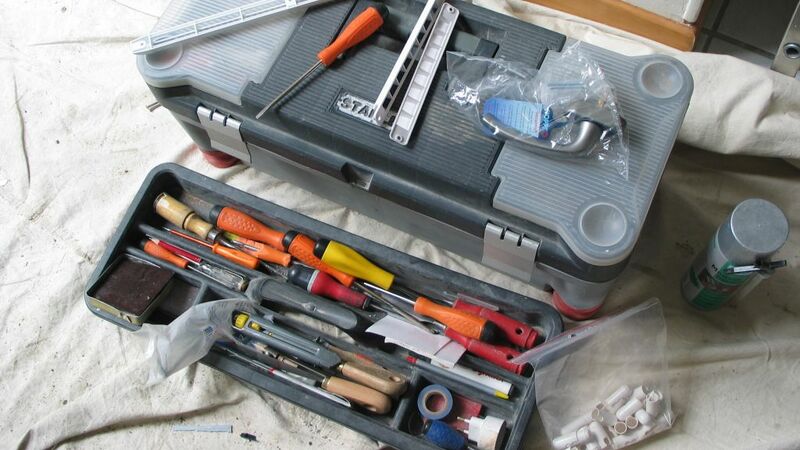 I’ve listed 10 of the best UX toolkits and method guides, but there are many more out there. Here are even more UX toolkits and method guides to check out, along with a handy search facility for searching across all 20+ resources. 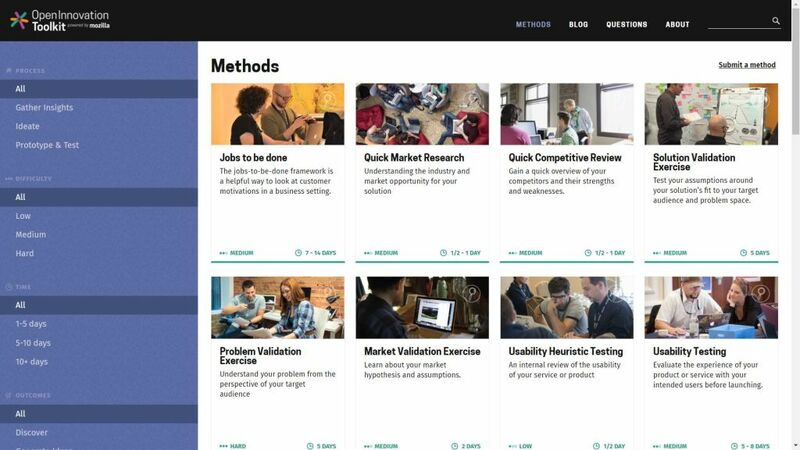 Search the UX toolkits and method guides for UX tools and methods. This search is also available via the UX tools and methods search page.